Application-level monitoring is required for continuously operating software systems to maintain their performance and availability at runtime. Performance monitoring of software systems requires storing time series data in a monitoring log or stream. Such monitoring may cause a significant runtime overhead to the monitored system. 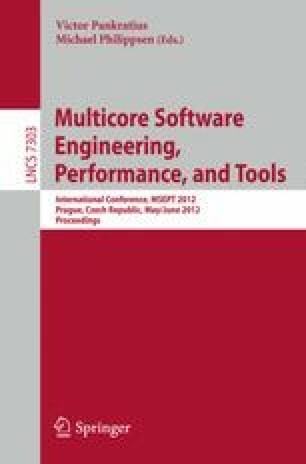 In this paper, we evaluate the influence of multi-core processors on the overhead of the Kieker application-level monitoring framework. We present a breakdown of the monitoring overhead into three portions and the results of extensive controlled laboratory experiments with micro-benchmarks to quantify these portions of monitoring overhead under controlled and repeatable conditions. Our experiments show that the already low overhead of the Kieker framework may be further reduced on multi-core processors with asynchronous writing of the monitoring log. Our experiment code and data are available as open source software such that interested researchers may repeat or extend our experiments for comparison on other hardware platforms or with other monitoring frameworks.